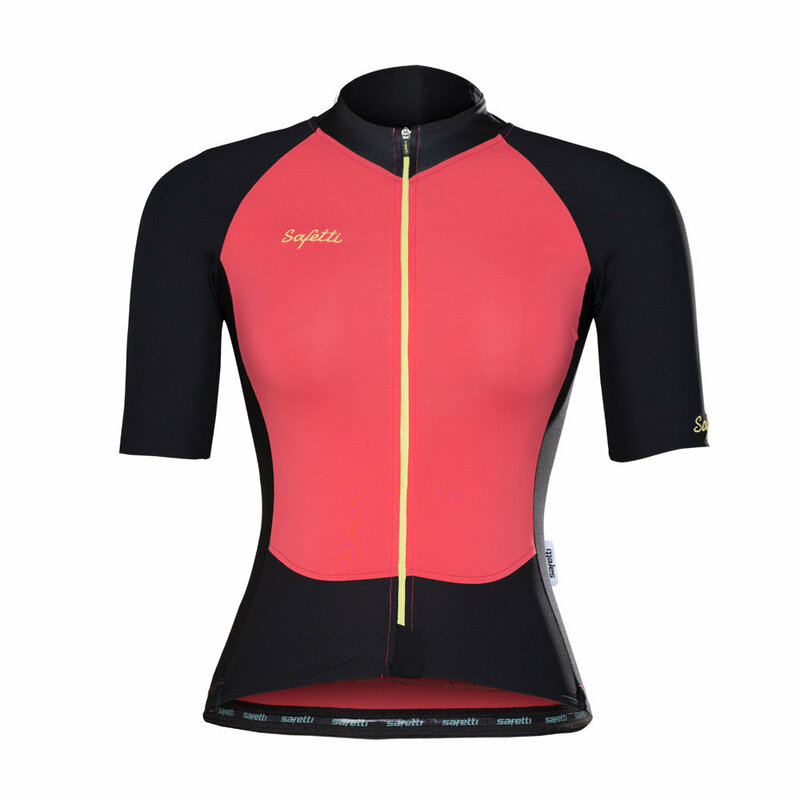 -Combination of fabrics with cool touch, elastane and sun protection. -“V” neck-line and side panels in mesh for better ventilation. -Clean cut sleeves with detachable nickel free semi-automatic zipper with glider. -Three back pockets plus a fourth water repellent pocket. -Reflective detail on the edge of the pocket.